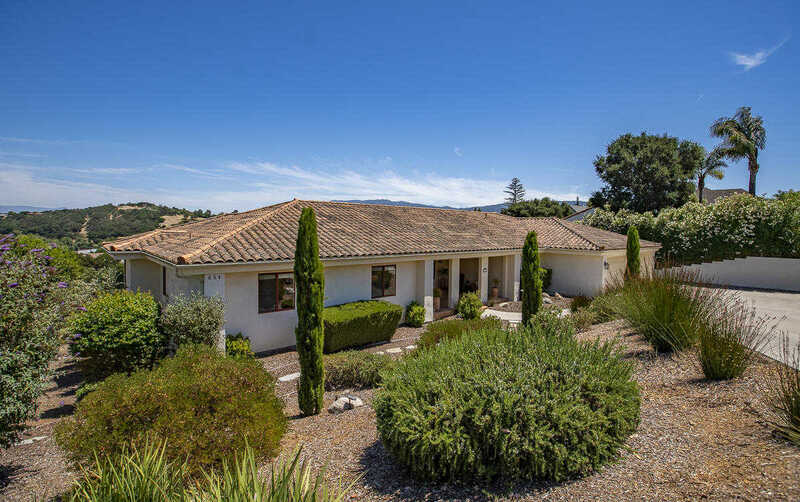 MLS# 19-1029 - 654 Ivy Ln, Solvang, CA 93463 - Andrew "Andy" Adler — Century 21 Butler Realty, Inc.
Tucked away on a secluded street above Solvang, this spacious Mediterranean style home enjoys magnificent views of the mountains and is close to the village. The home features 4 bedrooms, 2.5 baths, fireplace, large master suite with high wood-beamed ceilings, covered front porch and a large back deck with covered patio underneath. Most of the rooms have wonderful views and the home is ideal for entertaining. The gourmet kitchen featuring a large walk-in pantry overlooks the family room with incredible views. Located on over 1/2 an acre, well maintained and nicely landscaped with drought tolerant plants. The home enjoys privacy, AC, solar power, and generous spaces. Built by Mark Hemming, this master crafted home shows quality and attention to detail throughout. Please, send me more information on this property: MLS# 19-1029 – $1,165,000 – 654 Ivy Ln, Solvang, CA 93463.